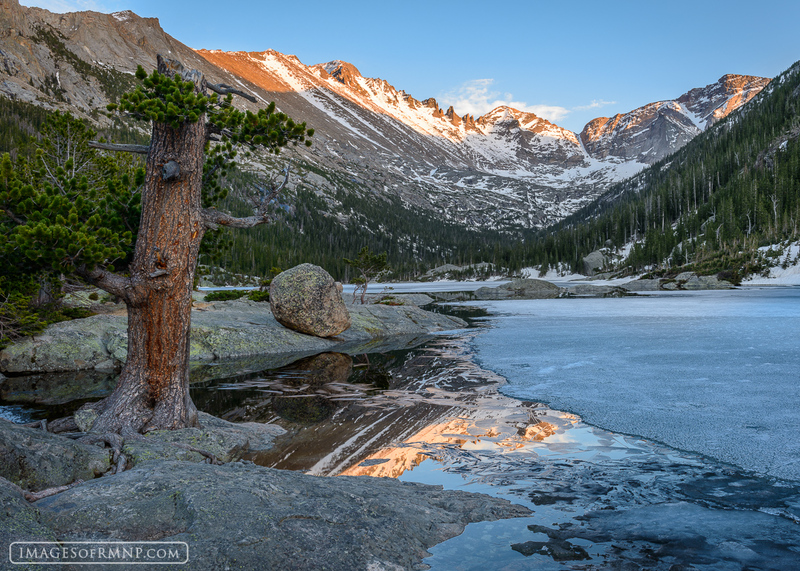 For nine and a half years I've been trying to get a decent photo of Mills Lake in Rocky Mountain National Park. It is one of the most beautiful lakes in the park and named after Enos Mills the man who helped make Rocky into a national park. I've often told people that this lake is my nemesis. I had almost given up on trying to capture a decent photo of it. Last night things finally came together and I was able to get a series of images that at least show something of its beauty. Photo © copyright by Erik Stensland.